With SATA 15 pin power connecter for direct connection to your power supply reduces the power burden on your motherboard and ensures maximum compatibility with your power supply. Gold plated contacts for better connectivity and long life, and with side clip to fasten other card. No driver needed. 3. 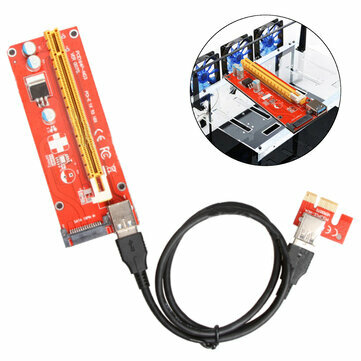 The graphics card power supply adopts three FP solid-state capacitors, make graphics more stable power supply security.